Getting comments and feedbacks for my reviews and replies are always a boost for me. 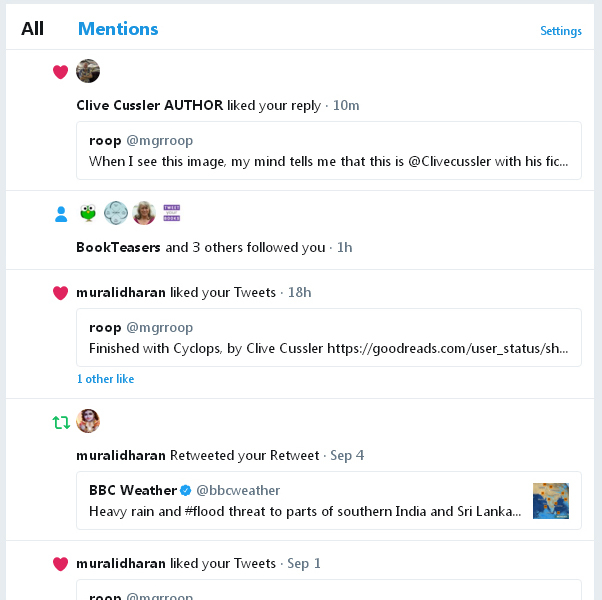 One the first day of my tweet about the books I have gathered (very few compared to the collectors around the world) one of my favourite authors Clive Cussler liked my tweet and I was very happy on that day. 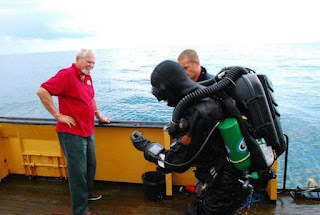 Couple of hours ago in Twitter "Isaac Bell" @Isaacbell series, another fictional character from the world of Clive Cussler tweeted with a photo (above) and a line "Clive Cussler is sharing his REALlife #adventures.U can FOLLOW @cusslerOFFICIAL #author #cigars #classiccars #amwriting #writer #ocean #sea" when I looked up at the image the first thing that came to my mind is that Clive Cussler is with his fictional character Dirk Pitt in diving suit. 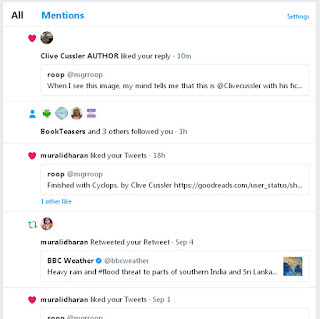 I typed the above line in the comment section and I received the like from the author which I want to share in this blog. Below is the screen shot.